Listen to How to Understand Football for Beginners once. Then watch a game on television. You will see that it's possible to understand football in less than an hour! If you find some things about football that are not clear, listen to the short book again and watch another game. By that point, you will understand football enough to enjoy the game. You will pick up on the intricacies of football as you continue to watch and enjoy football. Narrated by: Joseph F Miele Jr. 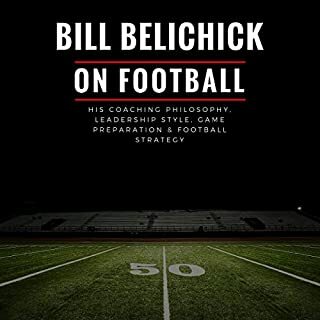 The origins of arguably the greatest coach in professional sports is explored through interviews with Bill Belichick. Learn what he has to say about the fundamentals of football and what he focuses on during practice planning and execution. Ultimately, if you want to win more football games, then your team has to be good in all three areas to include offense, defense, and special teams. This book breaks down his thoughts on all the areas of the game and will help you become a better coach. 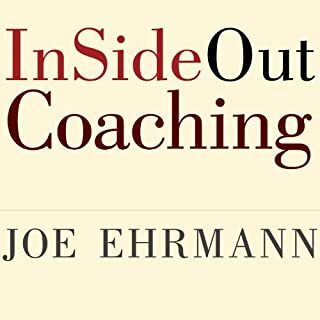 Joe Ehrmann's coaching philosophy was described by Jeffrey Marx in the best seller Season of Life, and since the publication of that book, thousands of coaches have looked to Joe for advice about putting his philosophy into practice. InSideOut Coaching provides the critical information and tools they've been waiting for - the information to help coaches everywhere create more meaningful experiences for themselves and to maximize their impact on the lives of the athletes they coach. Bill Belichick's 31 years in the NFL have been marked by amazing success - most recently with the New England Patriots. 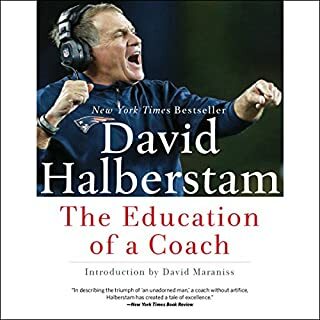 In this groundbreaking book, The Education of a Coach, David Halberstam explores the nuances of both the game and the man behind it. He uncovers what makes Bill Belichick tick both on and off the field. When Bill Belichick talks, smart people listen. 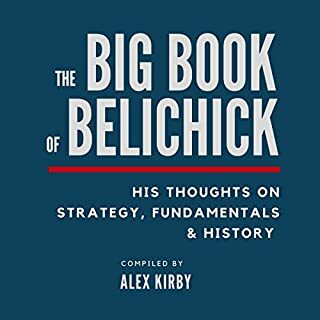 This book contains Belichick's own words on topics like two point conversion strategy, preparing for Peyton Manning, and what he looks for when evaluating each player on the field. Belichick has spent a lifetime in the NFL, and as a result has a perspective on the game and its greatest competitors that few can match. Learn what he has to say about the history of the game and those who built the foundation of the modern NFL. 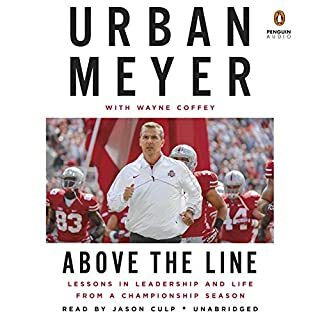 Pulling back the curtain on the high-profile, high-pressure world he operates in, Urban Meyer offers listeners a groundbreaking game plan for creating a culture of success that engages and inspires the people around them - the very game plan he followed every day in the Buckeyes' historic 2014 season. All offenses across the country are dealing with the same problem. How do I create multiple looks to confuse the defense while keeping things simple for my players? The inside zone blocking scheme is the solution to this universal problem. In Coaching the Inside Zone, you will learn the details of the inside zone scheme. In this powerful book, Heisman Trophy winner Tim Tebow passionately shares glimpses of his journey staying grounded in the face of disappointment, criticism, and intense media scrutiny. Following an exceptional college football career with the Florida Gators and a promising playoff run with the Denver Broncos, Tebow was traded to the New York Jets. He was released after one season. In Shaken, Tebow talks about what he's learned along the way. In the world of strength and conditioning, learning how to move others not just physically, but also psychologically and emotionally is paramount to getting the most out of them. People are the ultimate performance variable, and understanding how to effectively blend knowledge of proper training with the nuances of human behavior is integral to helping athletes achieve their ultimate goals. Unfortunately, while much attention has been given to the science of physical training, little attention has been given to the science of communication. This is an entertaining, informative beginner's guide to understanding football. Also, I guarantee* that this is the most enjoyable introductory audiobook ever about football, and that after listening to this audiobook you will know and love the game. What is an elite NFL QB, and what separates that player from the others? One answer is the coach they share. In the recent history of the biggest game on earth, one man is the common thread that connects several of the very best in the sport: Peyton Manning, Ben Roethlisberger, Andrew Luck, and the resurgent Carson Palmer. That coach is Bruce Arians. Do you wish there was something more you could do to help your team win? Tired of getting pushed around on the field? Whether (1) you are just starting out, (2) you want to discover some new tactics to give you the edge on your competition, or (3) you want to hone mind and body to boost your skills to the next level, this book will teach you everything you need to know. Remove those nagging doubts and take the field with confidence. This guide will explain to you in full detail some of the best strategies, techniques, and lifestyle choices that can easily help football players excel - both on and off the field - and win more often! This book is so effective that it can make a major difference in your playing. Football is a high-impact sport with major repercussions if you are not fully prepared, both mentally and physically. Learn key tactics to develop your mental toughness, especially in the heat of a game. Bring the best nutrition and physical training into play to equip your body to endure the rigors of competing at your very best. If you want to win you must create a winning strategy off the field that will give you the competitive advantage, come game time. This book will show you exactly what you need to do - in terms of health, diet, physical training, mental toughening, and goal setting - to get you where you need to be. Become the key player who helps lead your team to victory! Start using winning strategies today: BUY IT NOW! Habit, Success, Self Discipline: The Time to Be Great Is Now! This is a complete audio filled with hundreds of ways to improve your football game. From basic fundamentals to more advanced mental strategies, this audio has it all. It is well narrated and very easy to listen to, It was very easy to find several areas that I could focus on to improve my game. Highly recommended! From a non-player and sometimes-watcher, this book has helped me understand the game and appreciate all that goes into a successful play, from physical to mental preparation. I ran it by one of my guy friends, who appreciated the training tips and saw some good contents in the nutritional section as well. For me, I also appreciated the basic description of the player positions and rules of play. Football is a very complex game, but this book can serve newbies and experienced players alike with its focus on a solid understanding of how the gave is played, beginning from the most basic level. Would you listen to Football: Football Made Easy again? Why? Yes, it was very informative and contained many techniques for making the game of football easy to learn. It talked about everything from football gear, with emphasis put on safety, to warming up and strength training. Well, the book was more of an instructional book and did not really have characters. My favorite chapter was Chapter 6 which talked about "building mental strength" and "sports psychology" by practicing meditation, mental imaging, and other techniques for getting positively psyched for the game of Football. Have you listened to any of Joshua Mackey’s other performances before? How does this one compare? Yes, Joshua always does an excellent job. I cannot say this was really an emotionally charged book (like the Panthers & Broncos Super Bowl Game...now that really made me cry). However, It was very informational and full of good advise about becoming a great football player. Want to improve your football skills and tactics, listen to this book! It will give you everything you need to know to improve your game from peewee through college football. You will be playing like a pro with this great book! Definitely. I would say for any of my friends that have kids wanting to play football, they need to read this book. It tells the parent and the child exactly what is needed, how to prepare mentally and physically, how to stay safe and explains all the time and effort it takes to be a good football player. Not just the player should read the book, but the parent should too so they know what to expect. No characters because it is a nonfiction book. It is written in first person and I appreciate the author who gave great advice and information. Which character – as performed by Joshua Mackey – was your favorite? Yes, and I could. It was short enough to listen to all at once and it was interesting enough to listen too all the way through. You didn't really need a break because it kept your interest perked. This book is so much more than information about football. There is good advice in here. Sure, there are plays, formations, strategies and such but also ways to keep the body safe, how to strength it so it stays safe, stretches and exercises that work well, food and supplements that help develop the body and keep it going strong and mental strategies needed to play the game. It goes into visualization, improving focus and concentration, believing you can play the game well, and much more that makes for a very good player. Football made easy has helped me understand a lot about American football.My best moment from the book is knowing the advantages of playing football example been teamwork which is great for building communication skills.The others include discipline and commitment to the game.I didn't know the exercises one can indulge in while playing football but now I know,for instance,yoga,dolphins,the cobra and bridge.This exercises are healthy as they strengthen the spinal muscle and shoulder.If your interested in football or would like to know more about the sport,then this is the RIGHT book for you.Kudos Ace!!! Football Made Easy, Plus Great Tips for Any Sport. Football is a complicated and physically demanding game, and this is a great book for people looking to get into playing. 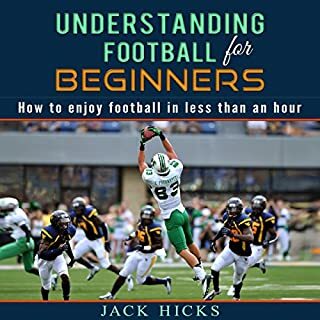 I personally don't plan to find a football team anytime soon, but I am actively trying to learn more about the sport, and the strategies discussed in this book can lend a better understanding of football's general rules and strategies (the holidays are coming up, and I'd like to be able to talk about football with my pops). The book goes into the basics, from safety and stretching to conditioning and training to choosing equipment, and then into the rules of the game and the roles of the players (don't know what a tight end does? Now you will!). Ultimately it discusses different moves and routes and what types of plays may bring the best results for the different positions. Finally, it talks about the importance of nutrition and mental preparedness. Overall, a very comprehensive look at football with some tips on safety and diet that will be useful to anyone considering any sport. I bought this book so I could learn a bit more about football. I have no interest in playing the sport, but when football season rolled around and my friends and family were in the grip of suspense watching the game, I was left out. After reading this helpful book, I now understand the sport and feel as though I can make intelligent comments about the game. I have to say, it's infinitely more exciting when you know what's going on. Thanks to this book, I get to be part of the team now. Get better at football with this book! I got this book because I have a son who is interested in playing football. He has played for a while but he wants to be better, to be the best he can be. So I thought this would be a good advantage for him. The book is very informative and he found some great methods to perfecting his skills. I recommend it for people who want to know more about and play better football. "Let's Get Ready For Some Football"
What did you love best about Football: Football Made Easy? What I loved best about "Football" was just learning more and more about the sport itself. I guess what I really liked was learning about the many different positions on a team, as well as, what roles they play. For example, I didn't know that the person who passes the football to the "Quarterback," at the beginning of a play, is called the "Center," and now I know that that particular play is called a "Snap." I just enjoyed this part of the audio book, because, if I get invited to a "Football" party, I will at least know something about each player. What was one of the most memorable moments of Football: Football Made Easy? For me, the most memorable moment of the book came from Chapter 3 "Improving Your Football Skills." I liked the part of the chapter labeled, "Pursue Goals, Both On and Off the Field." As always, Ace explains the importance of setting goals for yourself. This statement stood out to me, "Without goals and strategies to reach them, you are likely to veer off course onto something less important but more easily reached." This statement is not only in regards to football, but for where ever your life takes you. Set those goals, and follow them just like a map. What about Joshua Mackey’s performance did you like? As usual, Joshua Mackey's performance was right on target. Ace writes the words, and Joshua reads them to us. When I listen to him, his excitement for the topic shows, and he brings excitement to each and every word Ace uses. "Football" was a book that i could listen to in one sitting. Besides it being a short book, it taught me a lot about a sport I hardly knew anything about. This kept me interested, so I won't feel silly if I am around a group of people who enjoy the game. I have a funny little side note that I would like to share. Many years ago, I was working at "Disney's Hollywood Studios." The guys I worked with started up a Football pool. Of course, they invited all of us Cast Members to join in, so I said, "What the Heck?" One of the guys gave me the list of teams who would be playing, and said I needed to choose the team I thought would win. Well, I sat down, and I chose my winning teams based on the colors of their jerseys. I obviously knew nothing about the game. I also remember having to choose a point spread, but I don't remember the numbers I chose. Anyway, the teams I chose for that Sunday all won, and it came down to the point spread, and somehow I got the number right. That day I won $200.00! Oh what a feeling! I got this book because my boyfriend plays football and I thought that I should get a greater understanding of his passion. This book took me through the basics but then also provided him with some great tips to fine-tune his game. He can't stop talking about how much of a difference this book has made! He particularly enjoyed the section on mental focus as that's something that's often left out of his training. I'd definitely recommend it to both beginners and experienced players as we both learnt a lot and really enjoyed it! Football made easy” by Ace McCloud presents football as a very big deal in America, most popular among colleges students and younger children. McCloud describes the best techniques to warm up, exercises and equipment. McCloud presents the best mental support techniques are visualization to create positive self-image. You can visualize yourself with ball performing, be optimistic, avoid compare yourself to the others, learn how to control your fear. McCloud shows how well organized are players. Describe different players depend of their position and role. I like the chapter about offensive formation like Wild Cat, West Coast Offense, Pistol Formation and Defensive formation – Gap Control, Position 0, That is very informative and powerful chapter. "Football..." highlights that crucial is strength and speed exercises training at different time of the year, especially off-seasons. The author presentseasy and useful exercises for football players like stretching, practice speed, strength and power. It is very useful description of variety of exercise for upper body like rows, flat bench press, shrugs, military press. For lower body good are squad, leg curls. You should also practise speed like running. For strength excellent are practice variety with dumbbell like dumbbell shrug or squad. I enjoy that book and feel scared at the beginning as the author shows that football can be dangerous so you need to pay attention on your protective wear like helmet, open or close cage face mask, shoulder pads, gloves, football pants, shoes with spikes on their soles. It create atmosphere of great competition, powerful game that helps you reduce your energy and it is not so scared as it looks like. 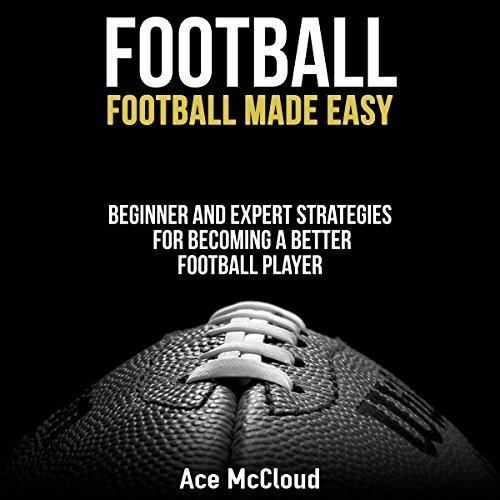 "Football: made it easy" by Ace McCloud is a very good and informative compendium that helps you to understand and have fun of playing or watching football. Highly recommended. This Book Helped Me Understand Football! Considering that I previously lived in the Philippines, I found a lot of things so weird and different when I first came over here in the UK. One of those things is the difference between football (UK) and American football. When I found this book as I was searching for audio books on Amazon, I decided that it’s time to educate myself. After I finished listening to this book, it gave me better understanding of what the differences are and what the sport really is all about. Although I’m not really that into sports, my fiancé is and he is a big football fan. Now that I have better idea about the game, talking about it has now been our way of bonding and it is really fulfilling. Does an excellent job at its stated intention: giving a clear overview of the game of football. Detailed and thorough but not overwhelming. I will continue to happily recommend this to anyone who wants to understand the basics of the game and its culture! I have absolutely no background in American football but my friends are all really into it and even play it in their spare time. I bought this guide as a gift to them really to help improve their play and also so they can understand the game better. It is full of information to help improve your game, excellent warm up exercises to increase effectiveness and performance and key strategies. However I found that as I listened to the guide that I too learnt a lot about the game and started to understand a lot more about the strategy and techniques behind the game which puts me in a much better place to be able to converse with my friends about it better. Very good guide for complete beginners!